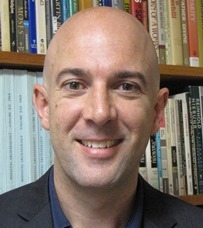 Dr Wise is Associate Professor in Public and Applied History in the School of Humanities. He has previously worked at Monash University, the University of New South Wales, and the University of Wollongong. BA Hons (First Class) [UOW]; PhD [UNSW]. Nathan's primary field of teaching is historical theory and practice. He has designed and coordinated units on US, European and Australian history, with a focus on cultural and labour history. Nathan's research focuses on the cultural history of military labour. This considers the nature of work undertaken within military environments, and the ways in which workers responded to that work through various cultural outputs. He has explored military labour in various military forces during the American Civil War, the First World War, and the Second World War, and is a key contributor to the growing global history of military labour. Nathan Wise, The Pursuit of Justice: The military moral economy in the USA, Australia, and Great Britain - 1861-1945, Amsterdam University Press, Amsterdam, 2017. Nathan Wise, Anzac Labour: Work and Workplace Cultures in the Australian Imperial Force during the First World War, Palgrave Macmillan, 2014. Nathan Wise, ‘Case Studies of Working-Class Agency in the 2nd Maine Volunteer Infantry Regiment, 1863, and the Australian Imperial Force, 1918’ in Greg Patmore and Shelton Stromquist [eds. ], Frontiers of Labor, 2018. Nathan Wise and Rebecca Wheatley, ‘Online scholarly engagement with the Australian pilgrim: The case of the Australian History – International Explorer Guide’, Australian Folklore, no. 32, 2017, pp. 221-237. Nathan Wise, Review(s) of: Settlers, war, and empire in the press: Unsettling news in Australia and Britain, 1863-1902, by Sam Hutchinson, Palgrave Macmillan, Cham, 2018, hbk, ISBN 9783319637747, xi + 288 pp, 99.99, Journal of Australian Colonial History, volume 20. 2018, p. 182. Nathan Wise, Review(s) of: The crying years: Australia's great war, by Peter Stanley, NLA Publishing, Canberra, 2017, pbk, ISBN 9780642279057, vii + 255 pp, $44.99, Journal of Australian Colonial History, volume 20. 2018, p. 198. Nathan Wise, David Roberts and Lorina Barker, ‘TLO 5: Examine historical issues by undertaking research according to the methodological and ethical conventions of the discipline’, Jennifer Clark and Adele Nye [eds. ], Teaching and Learning History in the Modern University - Disciplining History, 2018. Nathan Wise, ‘“Cooee”: The theme of distance in Australian recruitment posters during the First World War’, accepted for publication in Emily Robertson and Romain Fathi [eds. ], Proximity and Distance: Time, space and the First World War, scheduled for publication 2019. Nathan Wise [trans. by Risa Kadota and Motoko Sugano], ‘Anzac Memory’, Tsurumi Review, no. 47, July 2017. Nathan Wise, Review of Craig Wilcox, A kind of Victory: Captain Charles Cox and his Australian cavalrymen, Journal of Australian Colonial History, Vol. 18, 2016: 210-212. Nathan Wise and Carolyn Holbrook, ‘In the Shadow of Anzac: Labour Historiography of the First World War in Australia’, History Compass, no. 14, vol. 7, 2016, pp. 314-325. Nathan Wise, 'Labour Movements, Trade Unions and Strikes (Australia)', in: 1914-1918-online. International Encyclopedia of the First World War, ed. by Ute Daniel, Peter Gatrell, Oliver Janz, Heather Jones, Jennifer Keene, Alan Kramer, and Bill Nasson, Freie Universität Berlin, Berlin, 2015. Nathan Wise, ‘“We’re coming lads”: Isolation and abandonment themes in Australian recruitment posters during the First World War’, in José Manuel Goñi Pérez (ed. ), La Guerra: Retórica y Propaganda (1860-1970), Biblioteca Nueva, Madrid, 2015. Nathan Wise, Review of Fighting for a Living: A comparative History of Military Labout 1500-2000 by Erik-Jan Zürcher [ed. ], Amsterdam University Press, Amsterdam, 2014. Labour History, 108, May, 2015, pp. 198-200. Nathan Wise, ‘An Intimate History of Digging in the Australian Army during the Kokoda Campaign of 1942’, Labour History, 107, November, 2014. Nathan Wise, Review of John Connor, Anzac and Empire: George Foster Pearce and the Foundations of Australian Defence, Cambridge University Press, Melbourne, 2011, cloth Labour History, no. 104, May, 2013. Nathan Wise, ' "Dig, dig, dig, until you are safe": Constructing the Australian trenches on Gallipoli', First World War Studies, vol 2, no. 1, 2012. Nathan Wise, ' "In military parlance I suppose we were mutineers": Industrial Relations in the Australian Imperial Force during the Great War', Labour History, no. 101, November, 2011. Nathan Wise and Belinda Tynan, 'The DE Hub virtual learning space: a niche social network community of practice', in Physical and Virtual Learning Spaces in Higher Education, IGI Global, 2011. Nathan Wise, 'Playing soldiers: Sydney private school cadet corps and the Great War', Journal of the Royal Australian Historical Society, vol. 96, no. 2, December, 2010, pp. 184-201. Nathan Wise, 'Fighting a different enemy: Social protests against authority in the Australian Imperial Force during the First World War', International Review of Social History: Humour and Social Protest, Vol. 52, No. 15, 2007. Nathan Wise, 'The Lost Labour Force: Working class approaches towards military service during the Great War', Labour History, No. 93, 2007. Nathan Wise, '"Same old dope. Dodging work": The working class in the military 1914-1918', The Hummer: Publication of the Sydney Branch, Australian Society for the Study of Labour History, Vol. 4, No. 5, 2006. Nathan Wise, 'Different Worlds, Different Lives: Social history approaches to histories of the military', Alpheus, Vol. 2, No. March, 2005. Australian Society for the Study of Labour History, Australian Historical Association, International Social History Association, Australian Policy and History.